Defensive end Jason Pierre-Paul (core muscle) did not practice on Wednesday. Cornerback Janoris Jenkins (back), cornerback Coty Sensabaugh (ankle), safety Nat Berhe (concussion), defensive end Owa Odighizuwa (hamstring), and tight end Jerell Adams (shoulder) practiced on a limited basis. Right tackle Bobby Hart (forearm) fully practiced. 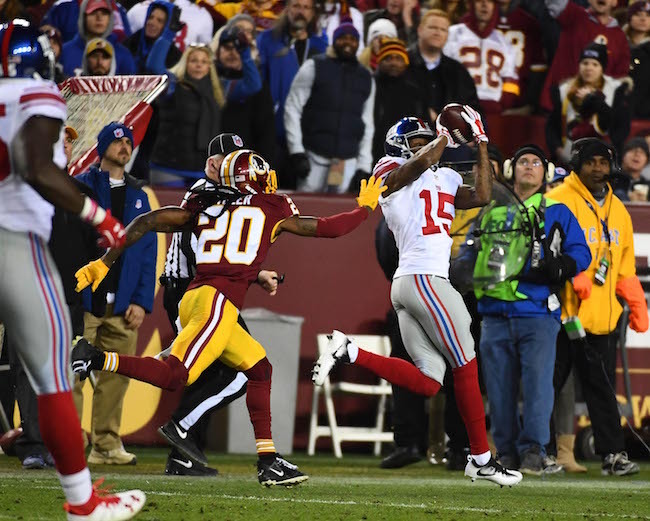 New York Giants cornerback Dominique Rodgers-Cromartie (DRC) has been named the “NFC Defensive Player of the Week” for his performance against the Washington Redskins last Sunday. In that game, DRC was credited with two interceptions, a sack, and three tackles. The New York Giants finished second in the NFL in scoring defense – a year after they were 30th – allowing 17.8 points a game. It’s their best finish in that statistical category since 1993, when they gave up a league-low 12.8 points a game. The Giants allowed less than 20 points eight times this season, their highest such number since they had eight in 2008. They gave up 20 points in a one-point victory against Cincinnati on November 14 and were 9-0 in games in which they allowed no more than 20 points. On the other hand, the Giants scored fewer than 20 points nine times, their highest total of sub 20-point games since they had 10 in 2003. The Giants were 5-4 in those games. They scored exactly 20 points in their season-opening victory in Dallas, and won an NFL-high six games in which they scored 20 or fewer points. The Giants surrendered only five fourth-quarter touchdowns this season. That was their fewest such scores allowed since 1982, when they gave up five. But the 1982 season was shortened to nine games by a players’ strike. 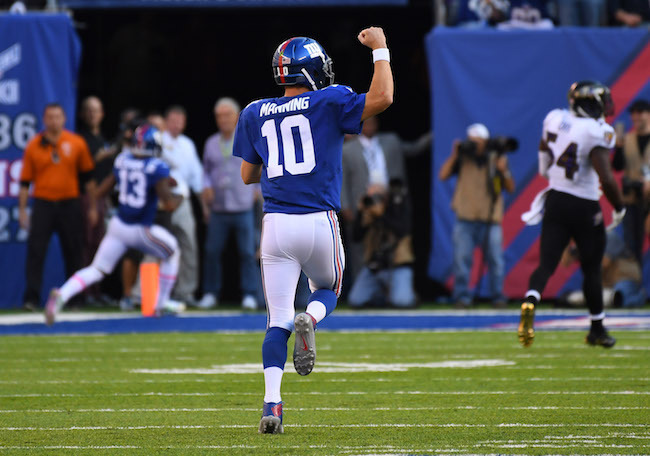 The five touchdowns in the fourth quarter were the fewest the Giants have allowed in a season in which they played at least 10 games since 1958, when they also surrendered five. The Giants finished with 35 sacks this season, 12 more than they had in 2015. The team’s defensive backs were responsible for eight of those sacks. That was easily the highest total by a secondary this season. 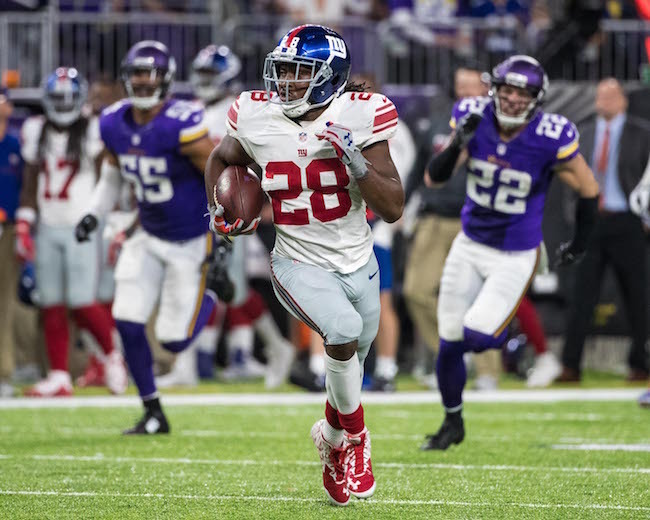 The Giants held their opponents to fewer than 100 rushing yards in 10 of 16 games, their highest such total since 2001, when they also held 10 opponents under 100 yards on the ground. WR Odell Beckham, Jr. finished third in the NFL in with 101 catches and 1,367 receiving yards, and fifth with 10 touchdown catches. He is the first Giants player to finish in the top five in all three categories in the same season since Del Shofner in 1961. WR Sterling Shepard’s eight touchdown receptions were the second-most by an NFL rookie this season. CB Rodgers-Cromartie led the Giants with six interceptions. S Landon Collins had five picks. This is the first season in which the Giants had at least two players with at least five interceptions apiece since 1997, when Jason CB Sehorn led the team with six picks, and S Tito Wooten and CB Phillippi Sparks each had five. The Giants will try to keep several streaks alive Sunday when they face the Packers in Green Bay in an NFC Wild Card Game. The Giants, who defeated the Packers in Lambeau Field in the 2007 and 2011 postseasons, are the only visiting team to win consecutive playoff games in Green Bay. The Giants have won their last five postseason road games (three in 2007 two in 2011), an NFL record. Eli Manning is the only quarterback in NFL history to start and win five consecutive games as a playoff visitor. The Giants practice at 12:20PM on Thursday. The coordinators and select players will also address the media. McAdoo: Hit the defense first. Got off to a fast start. Two INT’s that led to two offensive touchdowns. We finished strong on a sudden change of possession. Showed high character there at the end of the ball game. Situational football was tremendous. The last thing is holding the quarterback to four carries and minus-four yards in the rushing department. What we need to work on, cut down the explosive plays. The details, execution and consistency needs to improve there. Set the tone in the first series of the second half. Offensively, I think we took advantage of the two turnovers in the first quarter. Put two touchdowns on the board there. We were 4-for-4 in the shot zone, the high green zone, the fringe and the low green zone. We answered Philly’s touchdown to open the second half with one of our own. Despite all the negativity out there in the run game, we made some progress there late in the second half. What we need to work on, we had three pre-snap penalties, three batted balls. We need to finish the game in four-minute. We had a chance to end the game and we need to do that. We had eight opportunities to execute and make plays that were out there that could’ve had a positive impact on the game for us and we came up short. We need to take advantage of those opportunities. Special teams, I think JPP going in and blocking the field goal at the end of the first half was huge. He used great technique there. He made a great play for us in the ball game. What we need to work on, we knew going in that we couldn’t give 43 (Darren Sproles) a seam on punt return. It was a combination of a bunch of things but hang to distance and being firm and protective on the releases. The gunners being singled up, they need to win there. In the four-minute, the kickoff decision was a poor decision. We had seven up. We need to stay in the end zone with the ball there. With that, we’ll open it up. Q: You also incorporated a little bit more Roger Lewis and Dwayne Harris, how did that work out for you? A: I thought it was good. I think it’s always good to get everyone involved. Those are two guys that have earned some opportunities. They’ve been practicing hard. Look good in practice and have earned reps. We’re going to give them some opportunities as long as they keep earning reps and working hard on the practice field and in games. Q: What did Roger Lewis bring to the offense that you wanted to incorporate? A: He’s a young and improving player. He’s taking advantage of his special teams opportunities. He needs to continue to do that. As long as he continues to produce the way he has been producing on special teams and improving on offense, he will get the opportunity to play. Q: How is Justin Pugh and how do you think Brett Jones did? A: Justin has a knee sprain. He’s going to miss a little bit of time. I thought Jonesie did a nice job when he went in there. He played physical. He’s been playing more center for us but was ready to go in the ballgame at guard. Q: Why did you go with Brett rather than opt to move Bobby Hart in there? A: I just think for where we are in the season and in the ballgame, that was the best fit for us at the time. Q: How did Jerell Adams do? He and Will Tye looked to do a better job. A: Tye definitely had some wiggle after the catch. We knew that from last year. He showed up in a positive way for us yesterday in that regard. Jerell did a nice job for us out there. He did have a pre-snap penalty which we have to eliminate, but he made some progress, too. Q: Any update on Victor Cruz and Justin Pugh? A: Justin is going to miss some time. I don’t know how long at this point, but he’s going to miss a little bit of time. Victor is scheduled to get an MRI today. Q: Will you stick with Brett Jones at guard as long as Justin is out? A: We’ll take a look at all of our options. Q: Why did you decide to not dress Leon Hall yesterday? A: It’s just the way it shook out. We wanted to get three safeties up. True safeties up. It came down to special teams. When you have a lot of healthy bodies you have to make some tough decisions. Certainly Leon has played some good football for us. We’re confident in Leon and what he brings to the table. Q: You worked Devon Kennard inside for the first time yesterday. What went into that decision and how did he look? A: We did a couple of different things and how to use our personnel. I think it’s a way to help get Devon some reps. They’re tough to come by in base defense these days. It was an opportunity to move him around a little bit and give us some opportunities. Q: The way that you used so much personnel, is that an organizational decision or just the coaching staff? A: That’s how I grew up in this business, to get young players and everyone involved in game days that is up. Give them all the support they need to be successful. The way to get young players acclimated to the varsity team is to get them out there and get them going. When the snaps get to December and January, it’s not too big for them. It’s not the first time they’re on the field. Q: A day later, what light can you shed on the ball that was ruled an interception on the Odell play in the middle? A: We’re going to turn it into the league and really see what they have to say about it. I think it’s one of those calls that it depends on where you start. I think it’s a tough one to overturn either way. If it’s incomplete, I think it stays incomplete. If it’s a completion, I think it stays a completion. The way they ruled it as an interception, once you go look at it, I think it stays an interception. It’s a hard one to overturn. Regardless. I thought we caught the ball and went to the ground. They came away with the ball. The starting point is probably going to be the ending point there. Q: What did Paul Perkins bring to the running game? A: We balanced up the touches there a little bit. It’s tough to give one guy, feature one guy in the running game these days. You need a couple of guys that can carry the ball for you. He had some good opportunities in there. Some clean looks. On the toss crack, he did a nice job finding the seam. He kept his balance and had a nice run there at the end. Q: Bobby Rainey played less with Perkins and Rashad Jennings splitting the snaps. Was that injury related? A: We took everything into consideration there. A little bit of everything. Q: Victor had an X-ray yesterday, what did that show? 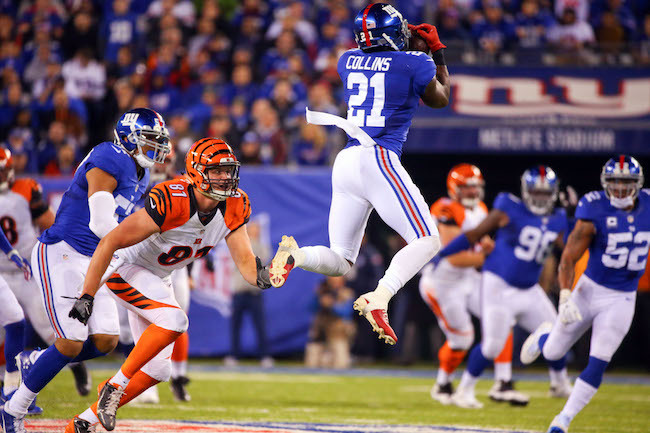 How serious is the Ryan Nassib injury? A: Victor is going to get an MRI. He has one scheduled today so we’ll know more after the MRI. Ryan will be limited this week. Q: What did you think of Keenan Robinson, especially in defensing the screen game? A: Keenan has been very active for us. His agility has allowed him to cover a lot of ground for us in the passing game. He had some good production to go along with it. Q: What did you think of using Newhouse as the sixth offensive lineman? A: I think Marshall did a nice job in there. He used good technique and fundamentals. He was productive when he had his opportunities. Q: Is that something you can use more? A: It’s something we will take a look at week in and week out. See if we can get anything out of it. Q: Is there anything you do with young guys to track their progress? A: No websites. We watch the film and we grade our players in practice and in games. We continue to coach them and develop them. The better they do and the more they respond to the coaching, the more opportunities they’ll get. Q: When you play young guys, you have to expect mistakes. How do you weigh the mistakes made by young guys versus giving them experience? A: You have to acclimate them early. You can’t wait until December. You have to get them opportunities to compete in practice and get them in there in games. They have to earn the opportunity. They don’t just get to play. They have to earn that opportunity and prove that they’re trustworthy and accountable. I think it does a lot for your team. It gives 46 guys an opportunity to play. I think it helps the veterans and breathes some life in the veterans in the long season. They have young guys that are champing at the bit. They bring excitement and energy. It’s fun to see the young guys have success. Q: Does Eli Apple have to earn back playing time? A: We’re going to dust Eli off, put him back out there. He’s going to get better and learn from it. Q: Is Shane Vereen ready to practice? A: Haven’t had those conversations yet. Q: Is there a chance he comes back this year? The players will be off on Tuesday. Player interviews will be held on Wednesday and the team will return to practice on Thursday. Conference calls with 2016 Ring of Honor inductees Tom Coughlin, Ernie Accorsi and Justin Tuck will be held on Tuesday. 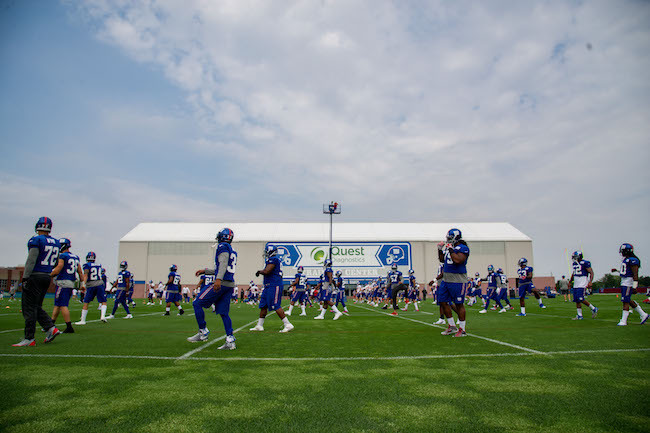 The New York Giants held a light walk-thru practice on Wednesday. Cornerback Eli Apple (hamstring), safety Darian Thompson (foot), safety Nat Berhe (concussion), tight end Larry Donnell (concussion), and offensive tackle Marshall Newhouse (calf), and did not practice. Cornerback Dominique Rodgers-Cromartie (groin), running back Rashad Jennings (thumb), and defensive tackle Robert Thomas (illness) were limited in practice. Defensive end Olivier Vernon (wrist) fully practiced. The Giants practice on Thursday at 11:25AM. New York Giants players report to summer training camp on Thursday. The first training camp practice will occur on Friday. (A complete schedule is available at Giants.com). 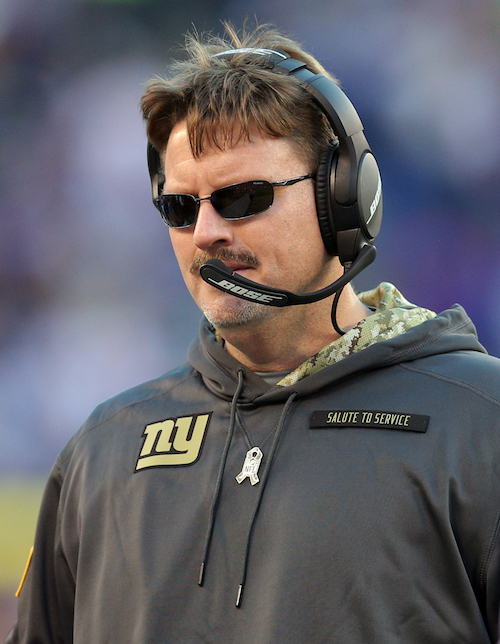 Head Coach Ben McAdoo and a number of players will address the press on Thursday. New York Giants unrestricted free agent wide receiver Hakeem Nicks has signed a 1-year contract with the New Orleans Saints. Desperate for veteran wide receiver help, the Giants signed then 27-year old Hakeem Nicks off of the street in November 2015. Unfortunately, the results were not good. Nicks played in six games with two starts, but finished with only seven catches for 54 yards. It’s been a precipitous decline for Nicks ever since his stellar 2010 and 2011 seasons when he compiled 155 catches for 2,244 yards and 18 touchdowns in 28 regular-season games. Nicks was originally drafted by the Giants in the 1st round of the 2009 NFL Draft. After two disappointing seasons in 2012 and 2013 when Nicks’ production fell to 109 passes for 1,588 yards and three touchdowns in 28 regular-season games, Nicks departed in free agency for the Indianapolis Colts. Nicks’ production in Indianapolis was disappointing too as he caught 38 passes for 405 yards and four touchdowns. He tried to catch on with the Tennessee Titans in training camp in 2015 but did not make the team. Nicks’ demise has largely been attributed to injuries, including compartment syndrome in his lower right leg in 2010 as well as a broken right foot and a poster cruciate ligament (PCL) tear in 2012. 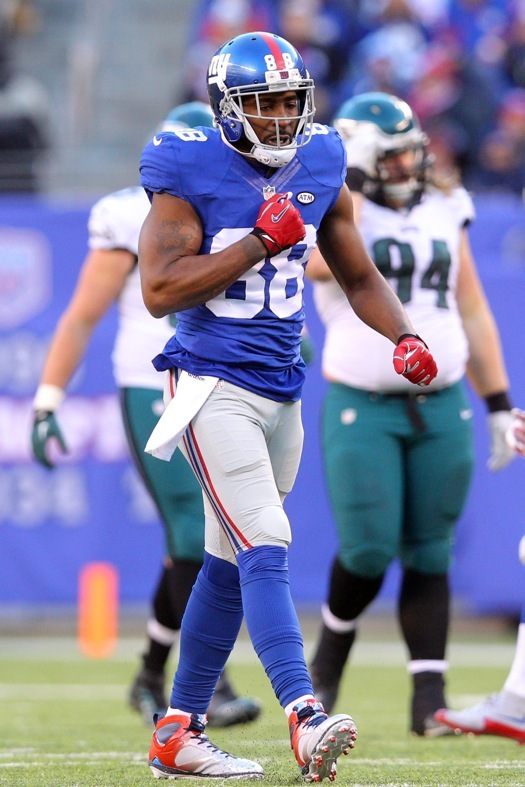 Although not officially announced, it appears New York Giants tight end Daniel Fells has retired. Fells was placed on Injured Reserve in October 2015 after multiple career-threatening surgeries were required to address a life-threatening staph infection that developed in an injured ankle. He only played in two games in 2015 and finished with six catches for 60 yards. Fells was originally signed as an undrafted rookie free agent by the Atlanta Falcons after the 2006 NFL Draft. He has spent time with the Falcons, Raiders, Buccaneers, Rams, Broncos, and Patriots. The Giants signed Fells to a reserve/future contract in January 2014. He played in all 16 games for the Giants in 2014 with nine starts, accruing 16 catches for 188 yards and four touchdowns. 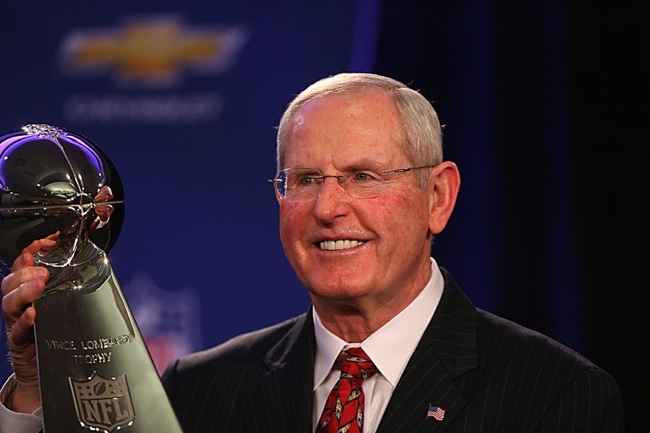 According to press report, former New York Giants Head Coach Tom Coughlin has accepted a full-time position with the NFL’s football operations department. His exact role has yet to be announced by the League. 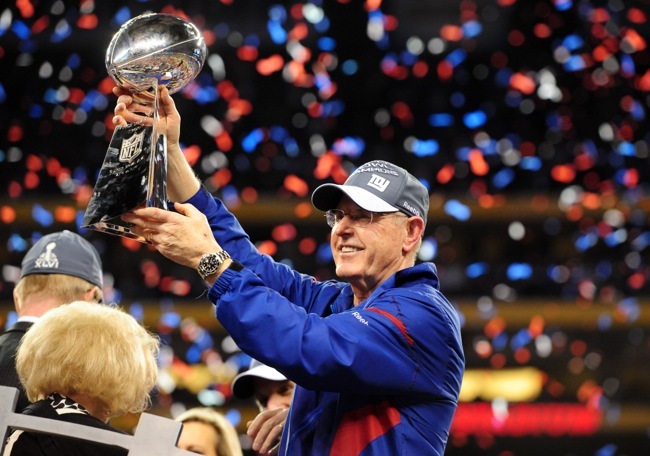 Coughlin was de facto fired in January by the Giants after serving with the team since 2004. The New York Post and New York Daily News report that the New York Giants put in a waiver claim for quarterback Zack Mettenberger, who was recently cut by the Tennessee Titans and claimed by the San Diego Chargers off of waivers. 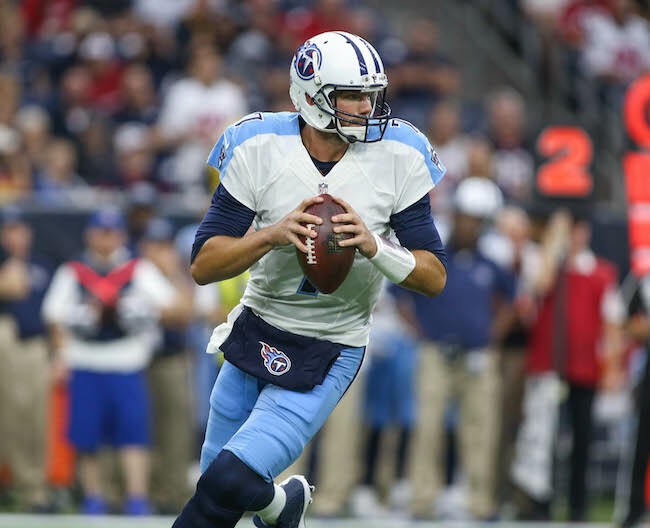 The 24-year old Mettenberger was originally drafted in the 6th round of the 2014 NFL Draft by the Titans. In his two NFL seasons, Mettenberger has started 10 regular-season games, completing 60.3 percent of his passes for 2,347 yards, 12 touchdowns, and 14 interceptions. The Giants currently have three quarterbacks on their roster: Eli Manning, Ryan Nassib, and B.J. Daniels.